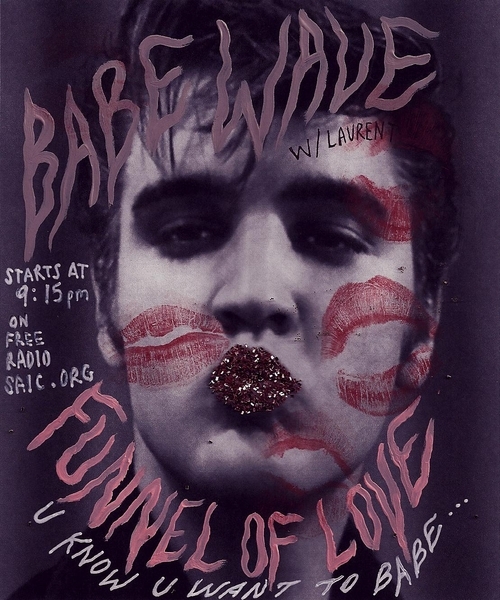 Oh sheeit, our fave-babe is getting you setup with the love jams this fine Valentine’s week. She brought along her buddy to dish out some pointers and love advice to listeners in need. We can’t say that we agree with all the advice given… but you know — love is strange. It’s a pretty lengthy episode, but what else would you expect with a theme like love? Pretty much every awesome song ever is about love or girls or boys or doin’ it or gettin’ down or getting you read to get down. That’s truth. We’ll have a special treat courtesy of Babe Wave next week when she has her second interview installment — bringing in a few witches. Until then — get some l.u.v. — And don’t forget! 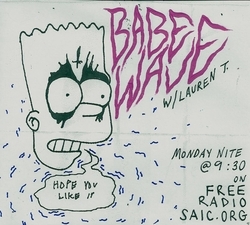 You can catch Babe Wave live every Monday night at 9PM on Free Radio SAIC. Do it!